Best known today as the author of Don Quixoteone of the most beloved and widely read novels in the Western traditionMiguel de Cervantes Saavedra (1547-1616) was a poet and a playwright as well. After some early successes on the Madrid stage in the 1580s, his theatrical career was interrupted by other literary efforts. Yet, eager to prove himself as a playwright, shortly before his death he publish… ed a collection of his later plays before they were ever performed.With their depiction of captives in North Africa and at the Ottoman court, two of these, "e;The Bagnios of Algiers"e; and "e;The Great Sultana,"e; draw heavily on Cervantes's own experiences as a captive, and echo important episodes in Don Quixote. They are set in a Mediterranean world where Spain and its Muslim neighbors clashed repeatedly while still remaining in close contact, with merchants, exiles, captives, soldiers, and renegades frequently crossing between the two sides. 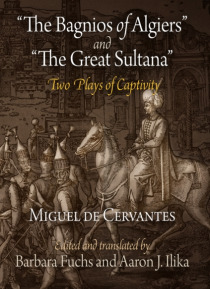 The plays provide revealing insights into Spain's complex perception of the world of Mediterranean Islam.Despite their considerable literary and historical interest, these two plays have never before been translated into English. This edition presents them along with an introductory essay that places them in the context of Cervantes's drama, the early modern stage, and the political and cultural relations between Christianity and Islam in the early modern period.